At 09:26 E65-1 and E65-2 were dispatched to assist CO10 (Smithfield) with an AFA at the Lake Raystown Shopping Center. 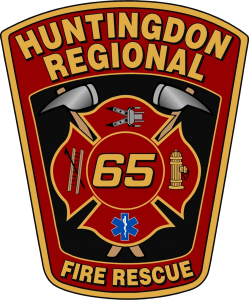 At 11:55 U65 assisted EMS in Huntingdon Borough. At 13:48 E65-2 and QRS65 assisted CO10 with a investigation at the Lake Raystown Shopping Center. At 13:53 Chief 65, E65-2, QRS65, TRK65, and SQ65 responded to 600 Penn St (Huntingdon Borough) for an elevator rescue. Crews rescued the individuals from the elevator and returned in service. At 18:54 fire police assisted HPD with traffic control until the road crew arrived at waterline break on Penn St (Huntingdon Borough).